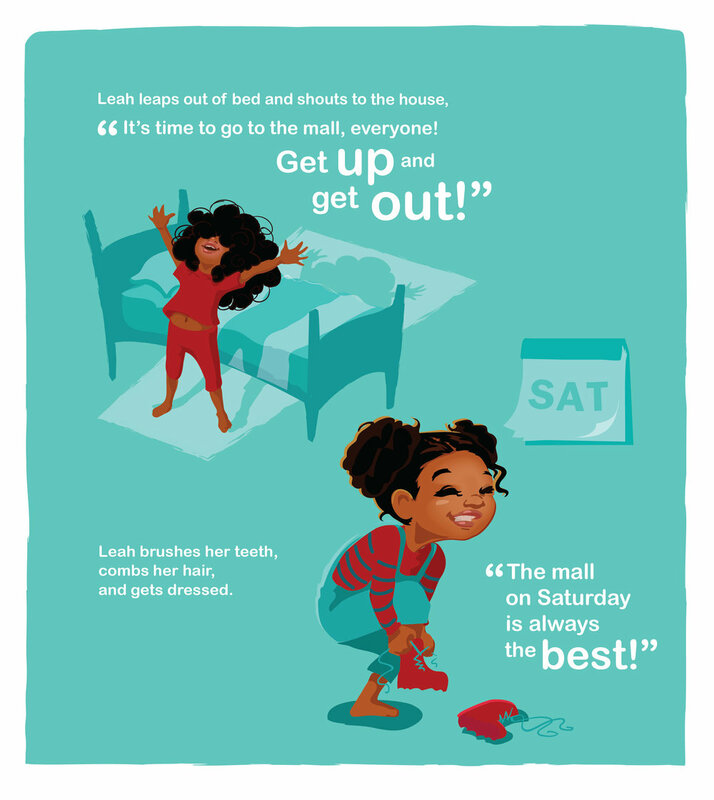 Leah is Lost is a children’s picture book about a young girl who gets lost in a mall. By keeping a cool head and remembering a few simple steps, Leah is reunited with her family. 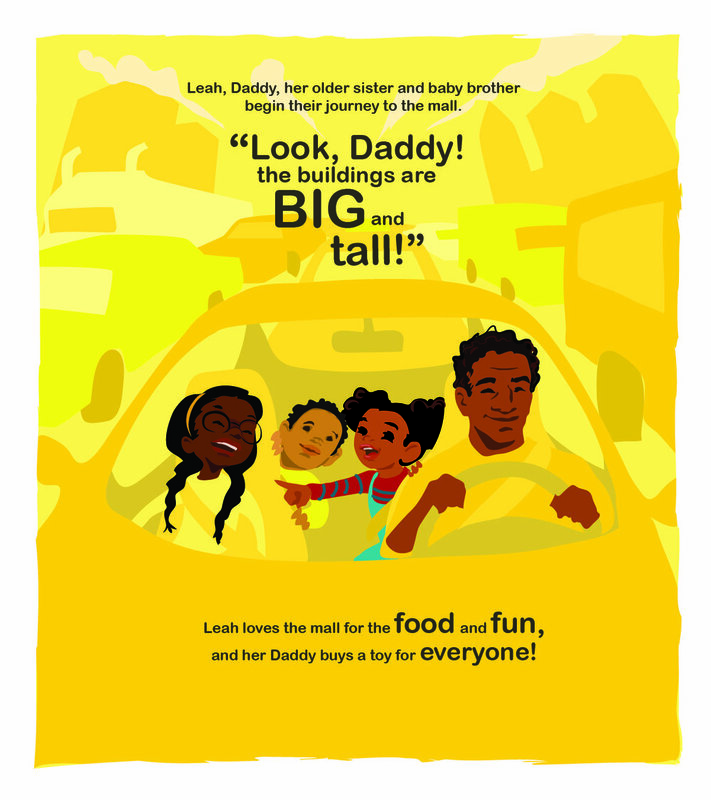 Story by Shekinah Reynolds, Illustrations by Jessica Paige Dawson. In Leah is Lost, color is used to differentiate between the orderly and the chaotic. Soft, monochromatic environments symbolize order and calm when. But when Leah is accidentally separated from her family in the mall, her safe and orderly world turns to chaos, and loud, mis-matched colors dominate the page. When working with authors, I always work in stages, sending concept sketches and getting feedback so we’re always on the same page and I’m creating their vision. Below are some concept sketches that I sent to this author before moving forward with the coloring stage.